We’ve done a good amount here at Antiwar on Guantanamo, the torture, and the legal black hole that has kept people there without charge or trial for years on end. Not to mention the lies and corruption that came with it. 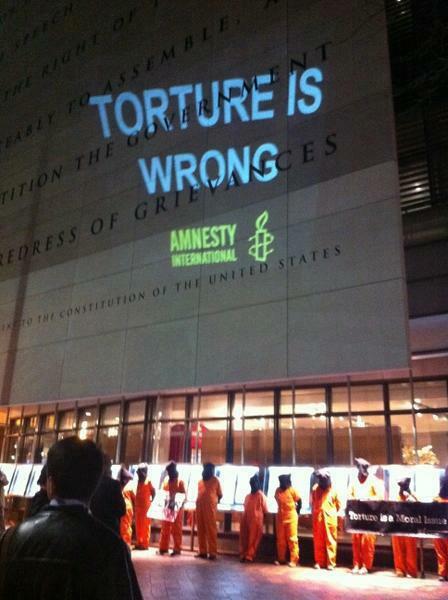 But here’s Amnesty International, as if we needed another reason to close the torture prison. The main detention facility at Gitmo cost about $220 million to build and, according to the White House, estimated annual operating expenses come in at around $150 million. To give you an idea of the kind of value for money this investment represents, the Bureau of Prisons noted last year that it cost $27,251 to incarcerate someone in the federal prison system for a year, as compared to an estimated cost of $650,000 per inmate at Guantanamo. Add to that the development of courtrooms for the Military Commissions at a cost of $13.4 million, Department of Defense spent $2.2 million renovating accommodation for staff and observers involved in the trials, and the Naval Station itself worth an estimated $500 million in part because it’s all spoofed up with sports fields, go-cart tracks, and playgrounds. Last year, the Washington Post estimated that the total post-9/11 bill for spending on Guantanamo comes close to $2 billion. Yes, that’s $2 billion with a ‘b’ for a prison camp that currently holds around 170 prisoners, more than half of whom the administration would release tomorrow if a suitable country could be found to take them.